Branching out to national media is a challenge. How do you sell your company to a reporter or blogger who hasn’t heard of you? How do you identify the right person to go to at an outlet? These are the basics, and the seminar will cover “Pitching 101” up front. The rest of the presentation will talk specifically about crafting a national headline scoring pitch, how to identify new ways to attract the media’s attention and thinking outside the box on what your brand could offer a national publication, broadcast outlet or blog. Nicole Messier leads global communications at Apprenda, a tier one venture-backed startup in Clifton Park and New York City. Apprenda and its executive team have been featured in CRAIN’s, Inc. Magazine, Entrepreneur, Wall Street Journal, CNN Money and Fox News, amongst countless technology trade and blog sites. Prior to Apprenda, Nicole has lead public relations and social media strategies for dozens of brands both in the F1000 and more than 45 technology and consumer startups. She’s worked at agencies such as Edelman, SHIFT Communications, TECHMarket and A&R Partners in both New York and San Francisco. Here in the Capital Region, she founded Portfolio PR Group, a boutique PR firm dedicated to national media and analyst relations for technology companies. 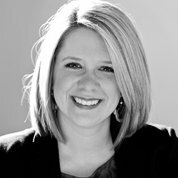 Nicole is a Business Review 40 Under 40 award winner and a recipient of PR News Magazine “15 PR Professionals to Watch.” Her work is also an Empire Awards winner.